Every now and then I get suggestions from customers about lines that they'd like to see at the Beauty Cafe and recently I got turned on to kō denmark. Immediately I was intrigued because my mom is from Denmark. So I did a little research and fell in love. There's just something about Danish (and Scandinavian) women. They seem to have that "je nais se quoi." Unfortunately I'm only half Danish, so I didn't get it. But I can still pretend!! 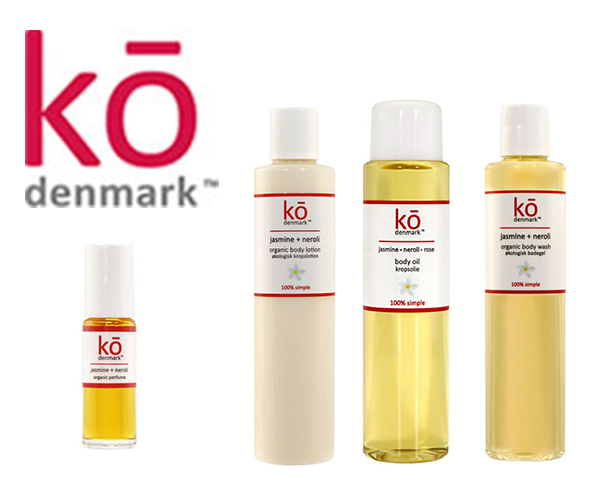 kō denmark’s creator, Henriette Holst, grew up in Denmark and knows full well that it's about quality and not quantity especially when it comes to matters of the skin and beauty. Less is always more! kō denmark’s featured ingredients, indian jasmine, tunisian neroli and bulgarian rose flower oils, are coveted for their anti-aging powers and soothing scent. Jasmine, neroli and rose flower oils are known for soothing the skin, improving elasticity and stimulating new cell growth. It takes 1 ton of flower blossoms to produce just 16 ounces of oil. 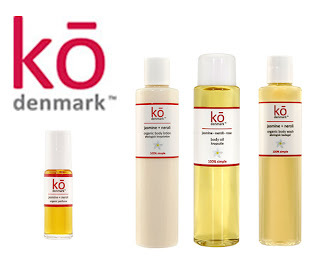 kō denmark’s vegan certified beauty products are free from paraben, sulfate, artificial fragrance, pegs, teas, deas, glycol, phthalates, mineral oils and silicones. The luxurious formulas are perfect for sensitive skin. Certified vegan. We welcome kō denmark to the Beauty Cafe family!